Book Burning and Censorship - WHY FREE EXPRESSION? And, since the mind is free, so must thought - and the expression of thought - be free and protected. 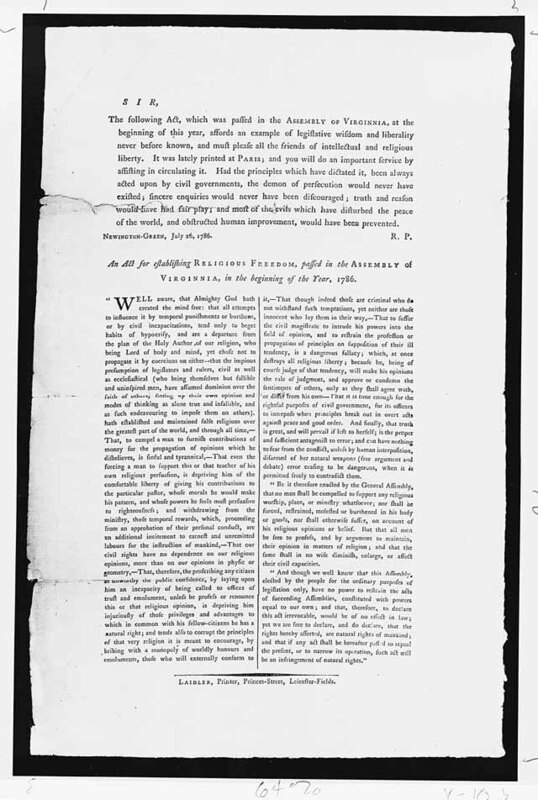 ...Had the principles which dictated it, been always acted upon by civil governments, the demon of persecution would never have existed; sincere enquiries would never have been discouraged; truth and reason would have had fair play; and most of the evils which have disturbed the peace of the world, and obstructed human improvement, would have been prevented. Governments which continue to disallow free expression are still causing "most of the evils which have disturbed the peace of the world and obstructed human improvement." Jefferson was right in 1786; he is still right today. That's why freedom of expression is one of America's most cherished legal rights. Bos, Carole "WHY FREE EXPRESSION?" AwesomeStories.com. Aug 01, 2000. Apr 18, 2019.